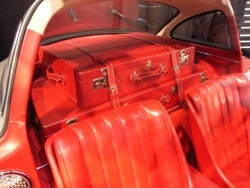 The history of the production of leather suitcases is closely related to the history of the automobile and the aviation industries. 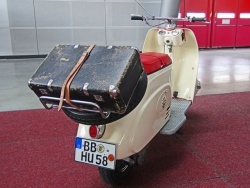 Since the beginning of the 20th century, mobility has increased rapidly, bringing with it a need for lighter luggage that people could carry themselves. 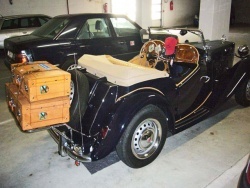 Previously, only the wealthy could afford to travel. 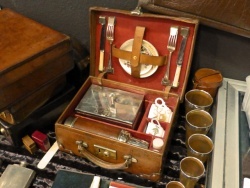 Leather chests were used for luggage and the servants carried the heavy chests. 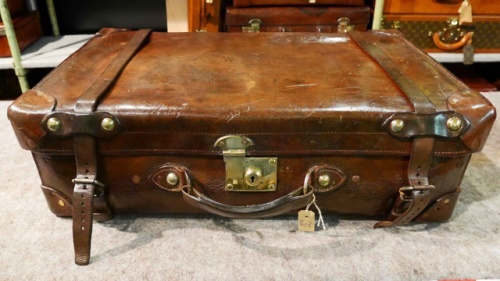 Old leather suitcases with lots of patina. 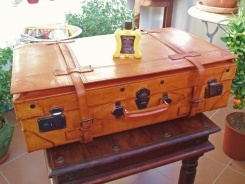 Old leather suitcases were made of wood, metal and waxed leather. 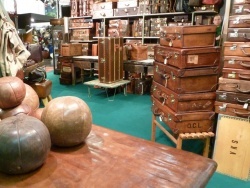 Normally cow hide was used and very rarely crocodile leather or pigskin, which is more widespread now. 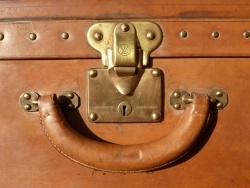 Nowadays, a simple leather suitcase costs 350 to 400 €. Better quality and larger models can cost 400 to 800 €. 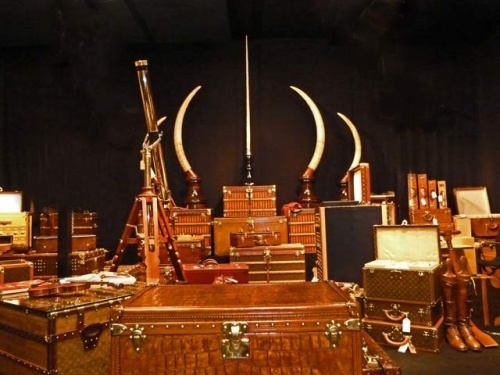 Luxury suitcases or exotic leather suitcases can cost above 1,000 €. 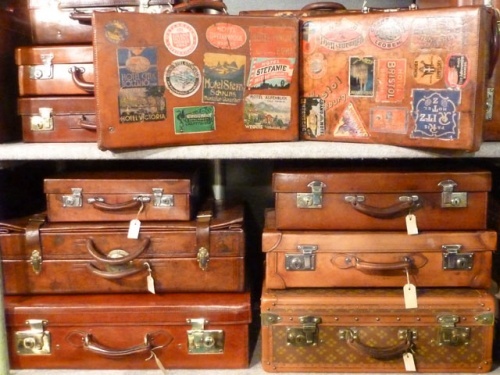 It is not uncommon for hand-stitched suitcases from renowned manufacturers to cost more than 10,000 €. Beautiful selection at Sams & Son. 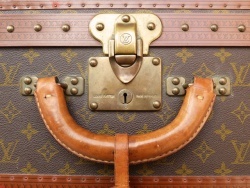 A popular brand from the high-end segment with a long tradition in suitcase production. 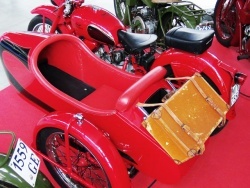 Suitcases for cars and motorcycles. 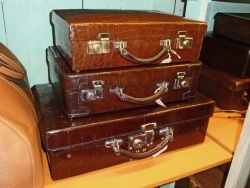 Suitcases and handbags made of crocodile leather from Sams & Son. 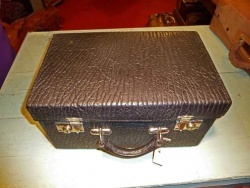 Camping leather suitcase and leather suitcase made of hippopotamus leather from Sams & Son. 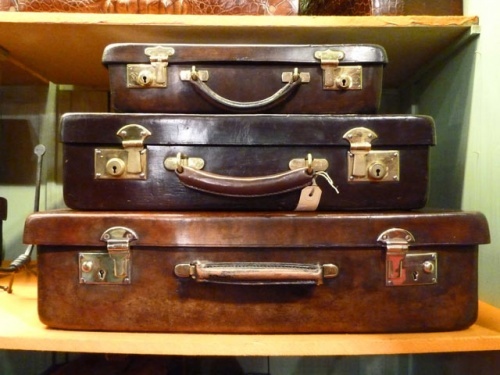 Peculiarity of these leather suitcases: The leather was seamlessly moulded into suitcase forms (from Sams & Son). 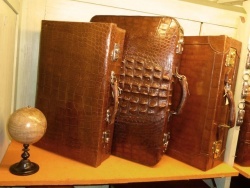 Typical pigskin suitcase from South America. 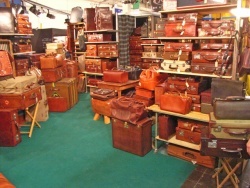 New suitcases made of vegetable-tanned leather from www.newold.es from Spain. 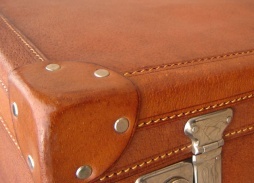 The production of leather luggage in the leather workshop.